Exclusive Clip from Affairs of State: This is Insane! The Marvel’s Guardians of the Galaxy animated series is returning to Disney XD next week and it’s going to be far cooler than ever and much more ‘Raven’ than before. 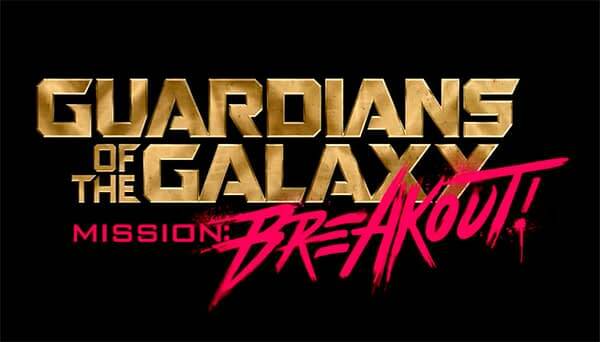 EW.com is reporting that the third season of the animated series will be titled Marvel’s Guardians of the Galaxy: Mission Breakout! (You know, like the new ride at Disneyland’s California Adventure.) And with the one hour debut there will be a few guest stars like the Fonz himself, Henry Winkler (Happy Days), Raven-Symoné (That’s So Raven) and Ming-Na Wen (Marvel’s Agents of SHIELD). There is no indication on who the three guest stars will play, but it would seem weird to have Wen playing anyone other than Agent Melinda May, so she may be appearing in the episode. They join a cast that includes Will Friedle (Peter Quill), Trevor Devall (Rocket), Vanessa Marshall (Gamora), David Sobolov (Drax), and Kevin Michael Richardson (Groot). Marvel’s Guardians of the Galaxy: Mission Breakout! will return with a one-hour premiere March 18 at 8 AM on Disney XD and DisneyNOW.